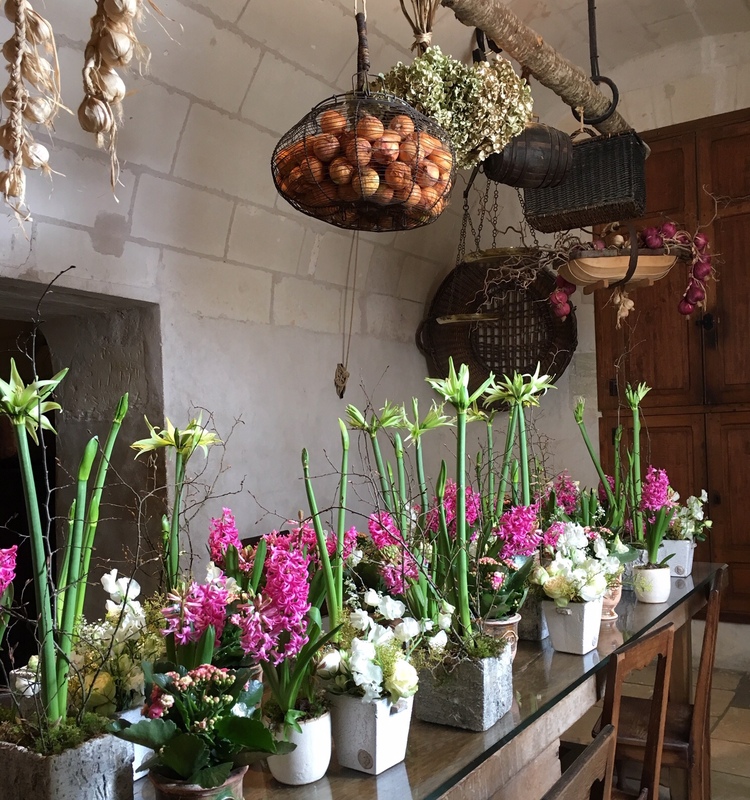 This is just one of the beautiful flower displays at Chateau de Chenonceau. Voici une parmi d’autres merveilleuses compositions florales au Château de Chenonceau. Posted in: Châteaux de la Loire, Chenonceau, Flowers and gardens. Tagged: flower displays at Chenonceau. Wow! So cheerful. Initially I thought it was your kitchen and wondered where you were going to eat. But they’ll have to stay indoors a little while longer.